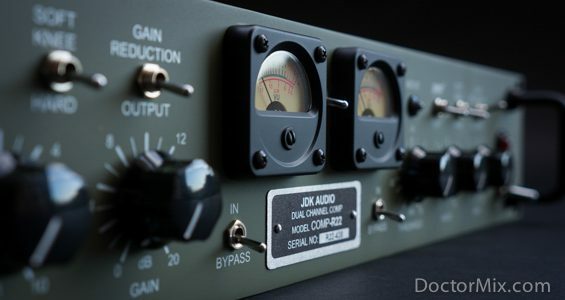 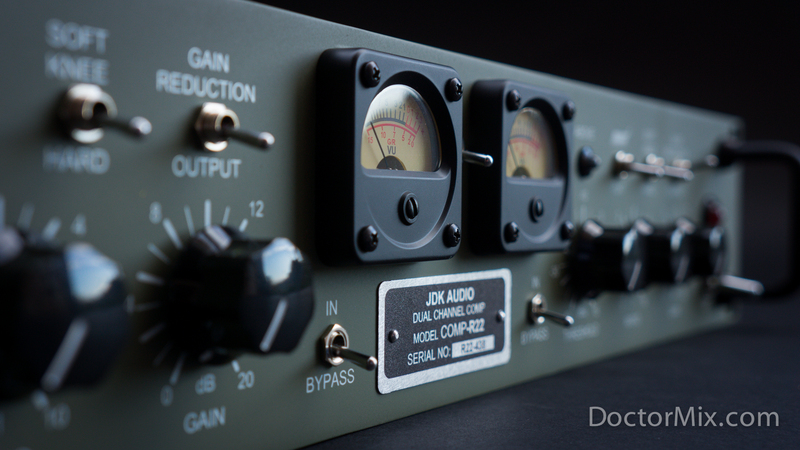 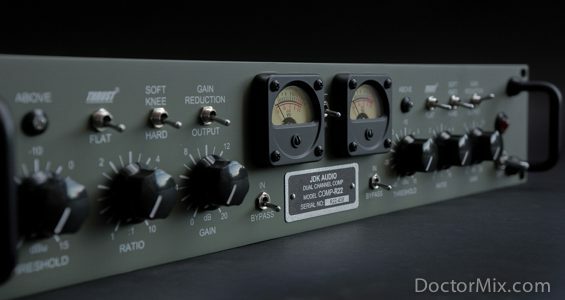 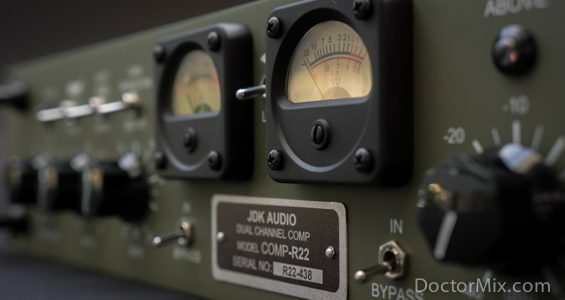 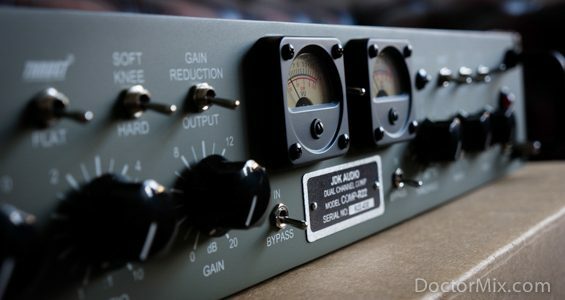 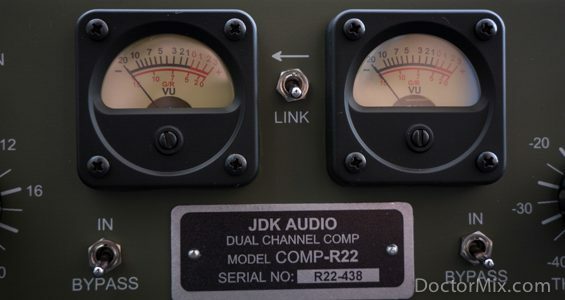 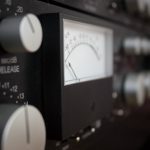 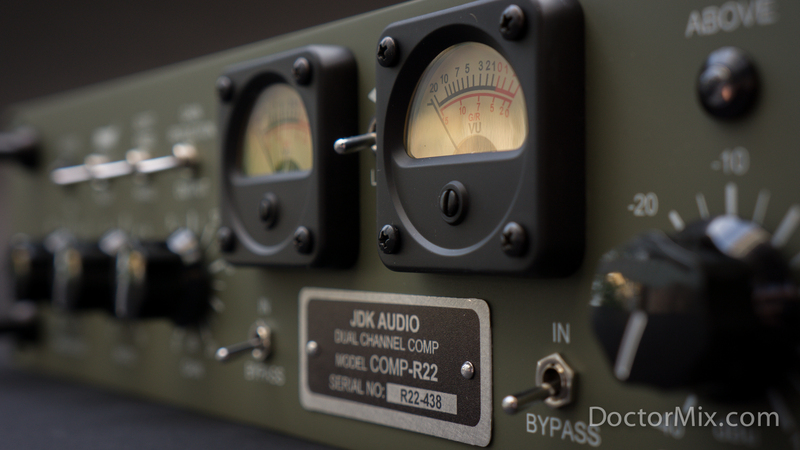 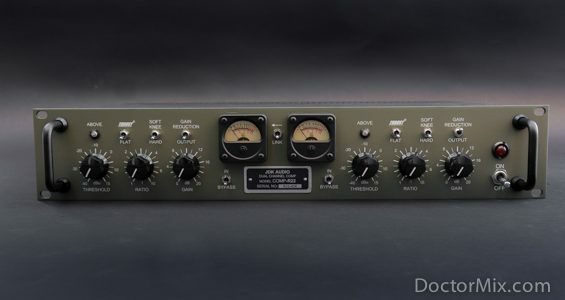 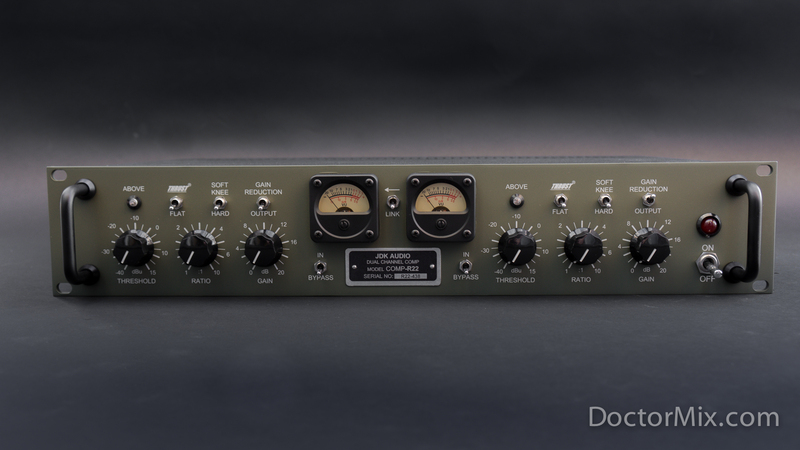 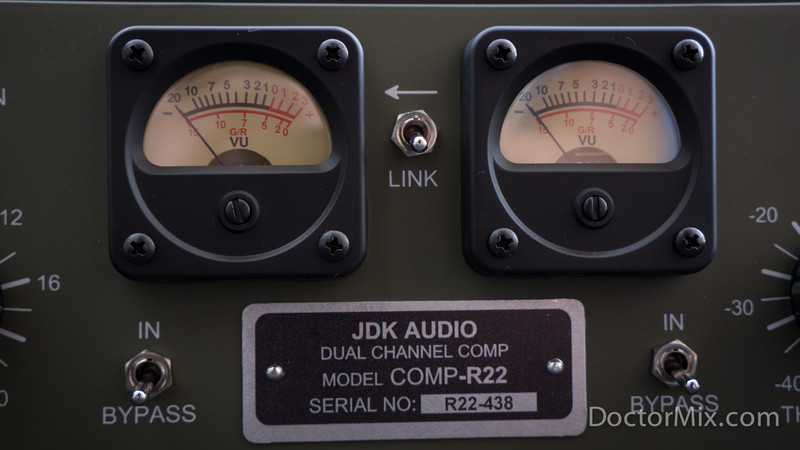 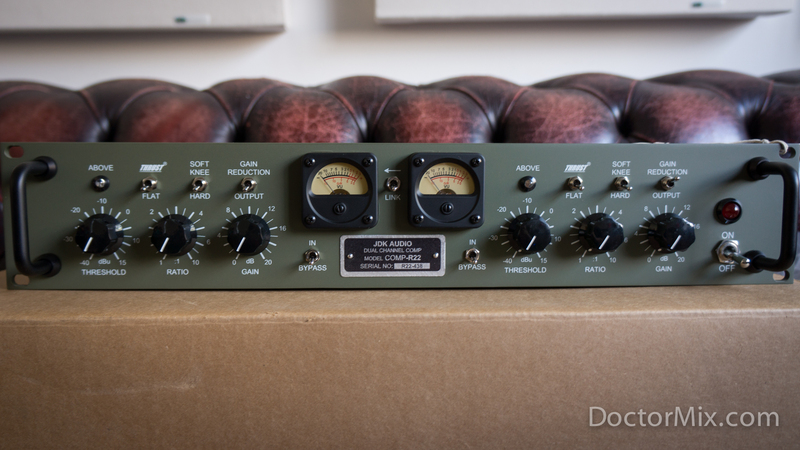 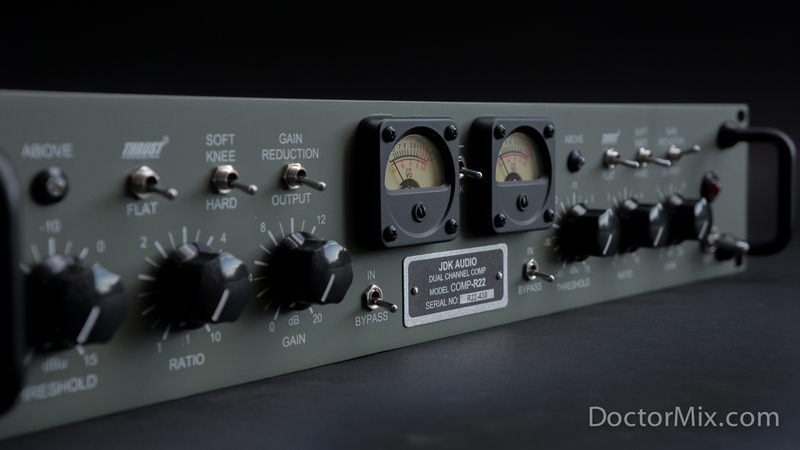 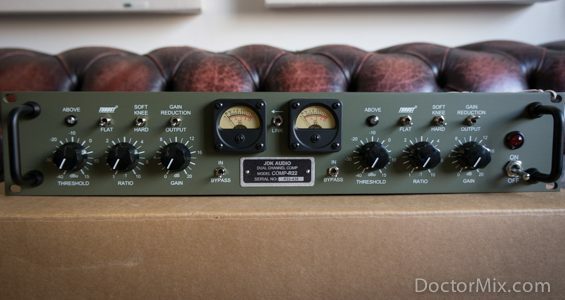 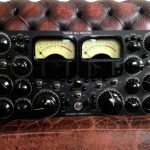 The very rugged and striking looking JDK Stereo Compressor is based on the design of the very rare ATI Paragon mixing console (later known as API) and delivers a very strong sound; from subtle and transparent, to aggressive and personal. 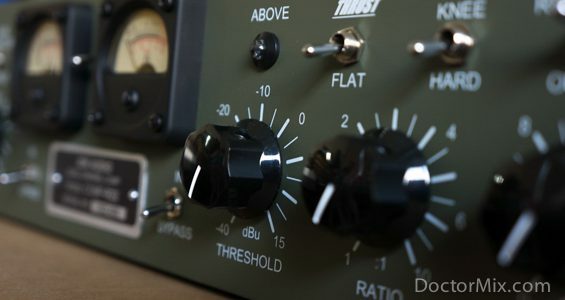 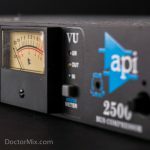 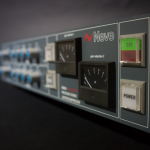 Unlike many VCA compressors this unit has completely separate sections for each channel, with very simple but effective controls, including the API patented “Thrust” switch – designed to preserve the high frequency content whenever heavier compression settings are applied. The awesome military-style moving coil VU meters can selectively represent the output level or gain reduction. 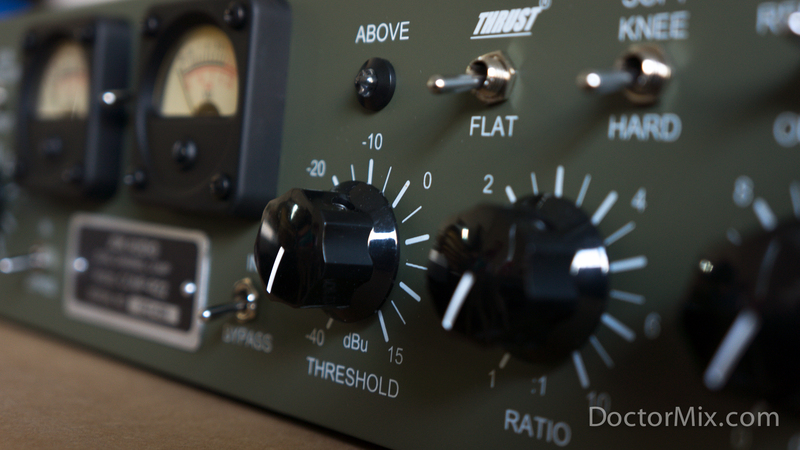 Two red LEDs show whenever the threshold is being hit, which speeds up the setting up process. The hard/soft knee switch is very effective and drastically changes the sound of this compressor, making it very flexible for simple and transparent levelling applications (piano, strings,program material) or aggressive and colourful effects (drums, guitars, vocals). 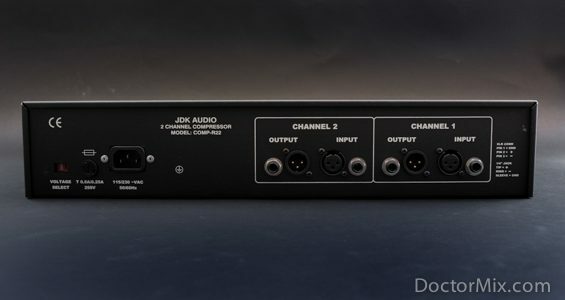 Amongst the controls is the switchable link which makes it great to use as dual-mono or for stereo and individual channel bypass. 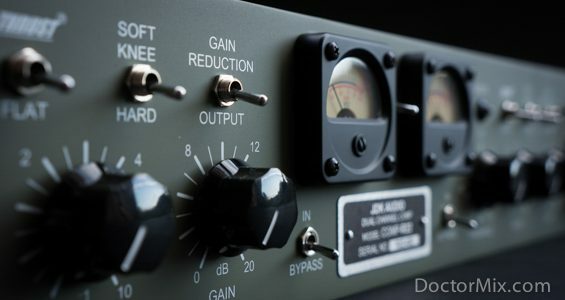 – SOUNDS BEST ON: Drums, Piano, Strings, Vocals.